Based on a story from the creator of Tarzan, Edgar Rice Burroughs, we have a story of a man being kidnapped and sent to a strange Mars, called Barsoom. This makes a change. Finding the UK trailer first on youTube. Normally it's only the US one available. From Academy Award®-winning filmmaker Andrew Stanton, “John Carter of Mars” is a sweeping action adventure set on the mysterious and exotic planet of Barsoom (Mars). 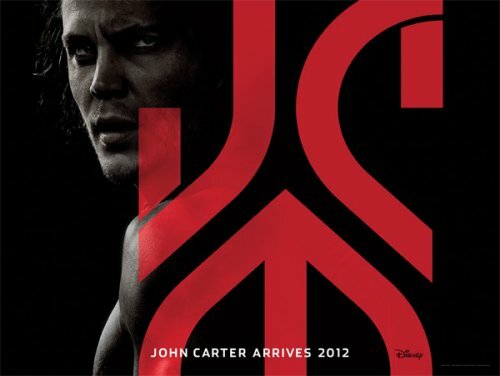 Based on the classic sci-fi novel by Edgar Rice Burroughs, the film tells the story of John Carter (Taylor Kitsch), who is inexplicably transported to Mars where he becomes embroiled in a conflict of epic proportions amongst the inhabitants of the planet, including Tars Tarkas (Willem Dafoe) and the captivating Princess Dejah Thoris (Lynn Collins). In a world on the brink of collapse, Carter discovers that the survival of Barsoom and its people rests in his hands.